The allure of the muscle car era long gone by seems to grow more and more each passing year, as those that actually remember what a 1967-1970 muscle car drove like, seem to be few and far between. Since that time, many brands have gone to the great salvage yard in the sky. The saving grace to all of this comes from one of the same companies in the thick of the performance car wars of the late ‘60s – Dodge. Yes, Dodge of the Mopar tribe, the same team that delivered the Charger, Super Bee, the ‘Cuda, and the oft forgotten Dart to the streets of Detroit. These road warriors came from the factory prepared to handle the daily driver grind to work, school, or even the grocery store as a ‘family’ vehicle. It was on the weekend, when it was time to shine before the Friday night cruise, or maybe load up for the track on Saturday, where the daily grind could be left in smoldering strips of rubber at the starting line. 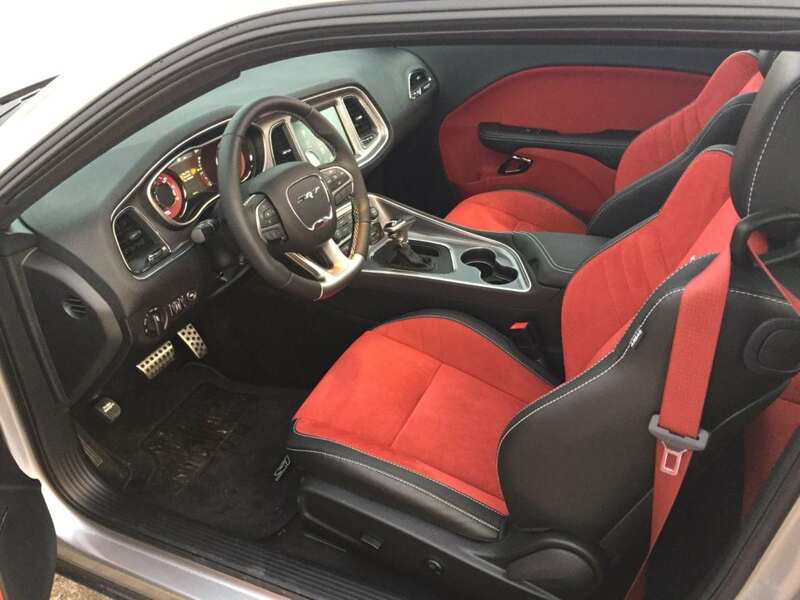 It is the advent of modern muscle that has actually revived the interest in the original muscle car era, and nothing says modern muscle car like the 2016 Dodge Charger SRT Hellcat. 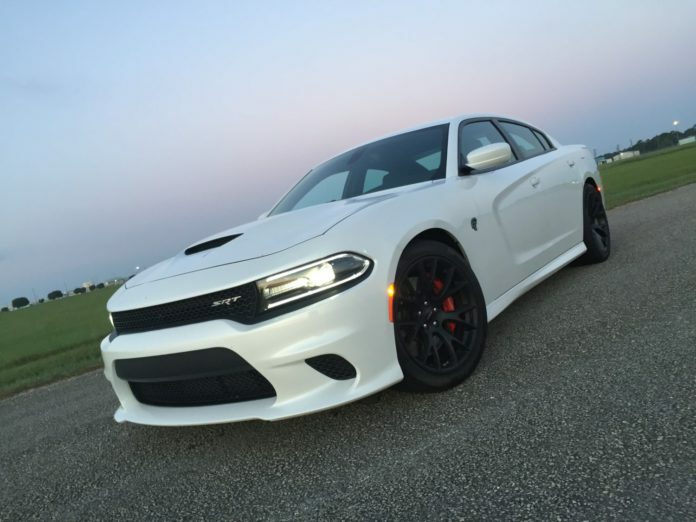 Not only is Dodge proud of the mechanical accomplishment that a car like the Charger Hellcat represents, but the head Dodge dude, Tim Kuniskis, now Head of Passenger Car Brands, will quickly tell anyone that listens – this is a muscle car! Starting with the last generation of Charger, the body includes a sleek new front-end treatment that offers up more aerodynamics as well as better air flow to the heavy breathing 6.2L HEMI that resides under the unique Hellcat hood. Along with the air induction, there are heat extractor vents that help keep the engine compartment cool…as well as look cool. The big story is the belt-driven supercharger that can be sedate enough to handle the daily grind while rolling out 22 mpg on the highway, as long as you can keep your foot out of it. This is somewhat easier using the black key, which limits the engine to ‘only 500’ horsepower. It should be noted that even with the fabled red key, a person of patience, a person of much self- restraint can accomplish the same effective MPG. But who buys a Hellcat for fuel economy? Along with 707-horsepower, there is 650 lb-ft. of tire melting torque, even with the 8-speed automatic. There is a manual 6-speed gear box available, but keep in mind the cost of tires when considering this option. The newest generation of the Charger does provide 4-doors, making this the ultimate modern version of a muscle car. Adults are able to easily access the rear passenger area, making for the possibility of a double date, or a family trip to the movie theater a real possibility. The Charger comes with all the modern conveniences we have come to expect, such as an upgraded audio system, the in dash monitor for running apps, and a host of safety systems and equipment. Of course there is a host of track apps should the need for speed strike. The Hellcat version is very much like the $30,000 main stream Charger SXT, including the 5-year, 60,000 mile Powertrain Limited Warranty. The primary difference is that the Charger Hellcat has road-track type handling and drag racing performance…and tags out closer to $62,000. Considering the performance, the technology, and the pure driving fun, this may be the deal for the muscle car enthusiast.